Being market and consumer leaders in quality food and baked products, developing our heritage through innovation. Our mission is to consistently provide best quality and services to our customers while developing and investing in brand equity, giving maximum value to our stakeholders through good governance and social responsibility. 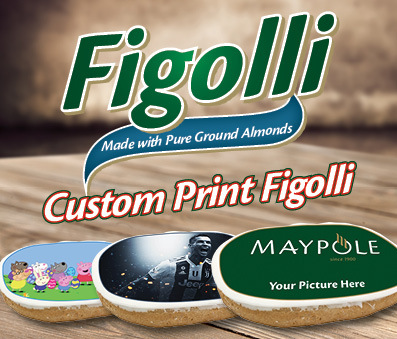 Maypole is a family run Group of Businesses operating within the manufacturing and distribution of food products. With a strong emphasis on bread and baked products, the group has its own production facility located in Handaq Malta. Maypole also has a number of retail outlets based on a convenience store concept which are spread throughout the Island. With a strong accent on traditional Maltese Baked products, the group has always believed in the power of innovation and technical advancement. It is this careful balance of respect for tradition while employing the latest technology that has enabled Maypole to offer its Maltese consumers the classic food stuffs they are used to while ensuring quality, consistency and the latest standards in Food Safety. The group is always looking ahead and ensuring it brings to market products and experiences in line with market expectations. Malta’s rapid evolution into a modern European country has meant that the cultural norms of our customer base have changed drastically over the last couple of decades and the culture of eating is no different from the rest. This means that Maypole continuously works to asses such changes and ensure it has a relevant product portfolio and shopping experience. Working closely with their suppliers, the group is very proud of its Research and Development programme. The production facility is also doing its part for the environment and uses the latest technology in exhaust energy recovery to further supplement the state of the art solar and gas powered oven system. Through the recovery on waste energy the factory heats the required water and powers is A/C system. Past success is no guarantee of future outcomes but the group will continue to push forward. We thank you for visiting our site and look forward to welcoming you as Maypole Customers. Maypole is a family business that was first established in 1900. Initially as a partnership between Mr Carmel Saliba and Mr Luke Gauci, the latter also the owner of Wembley Ice-Cream and other food-related businesses. Eventually the Salibas took over the entire business with a bakery in Pietà, not far from where St Luke’s Hospital was located, they also had a convenience shop on the seafront close to Pietà Creek. The British military establishment (present in Malta due to our status as a British Colony) was a major client to Maypole, right up to the beginning of World War II, with the naval base at Sa Maison and the Torpedo Depot also nearby. Many British families also lived nearby as well which further complimented the business. Apart from baking traditional Maltese loaves of bread, Maypole also branched out into baking fancy bread, which appealed to these British clients. As military business reduced due to various factors (WWII), the business diversified and Maypole started to distribute bread in Sliema and Valletta, where it was well liked and became established. In time, it secured contracts to supply bread to Mount Carmel Hospital and a number of small government institutes. Maypole’s owner died young in the early 1950s and his children turned to George Debono, his flour supplier, to deliver the bread to the hospital and the institutes. The Saliba children first sold Maypole to a third party in the mid-1960s but, when in turn these new owners decided to sell, it was Carmel Debono, George’s son, who in 1969 acquired it and registered the Maypole trade name. Carmel, whose family have a long tradition in the bakery trade in Qormi, first started operating from a bakery in Gzira owned by Joseph Zammit, his future father-in-law, but in 1975, he acquired a small bakery in Garden Street, Qormi. Shortly after, Maypole was awarded the contract to supply bread to the main government hospital, St Luke’s, and two other institutes, St Vincent de Paul and Mount Carmel. This entailed the hiring of staff and the running of a 24-hour operation. In 1977, with the conversion to metric weights, Maypole was not awarded the tender and it used its spare capacity to start producing fancy bread, apart from continuing to sell its well-loved Maltese loaves to the public. 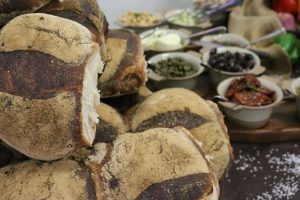 The business further expanded with sales through other bakers, who could not cope with the demand for Maltese bread, fancy bread and sliced bread for toast, local hotels and some large stores. In 1985, a larger bakery in the St Sebastian area of Qormi was acquired and further enlarged. A decision was taken to enter the retail business and a corner property opposite St Sebastian church was also acquired. Both the new bakery and the first Maypole outlet opened in 1988. This enabled the Maypole name to become more well known and recognised not just in Qormi but also around the island. Carmel Debono’s children started entering the business around this time and have now taken over its day-to-day operations. A second outlet, in the main street of Fgura, was acquired in 2003, and at around the turn of the century, a number of garages were acquired in Joseph Abela Scolaro Street, Hamrun, which were developed into a third outlet, which opened in 2004. The next big move for Maypole was to become a franchise operation, enabling further expansion of the retail network so that, within a decade, these had grown to 11 outlets in Zabbar, l-Iklin, Attard, Swatar, San Gwann, Bugibba Mellieha, and recently, Naxxar. Another major move was the opening of a new, state-of-the-art, centralised bakery and food manufacturing establishment in Tal-Ħandaq, limits of Qormi, in 2011. This entailed investment in automated bakery equipment and the recruitment of qualified staff, which in turn enabled the business to offer a wider range of products and services. In 2012 Carmel Debono opened Nenu The Artisan Baker in St Dominic Street Valletta, through the conversion of an old bakery still equipped with the original century old oven. This is a restaurant offering traditional Maltese cuisine while incorporating displays on the history of the bakery trade in Malta. The original oven of the bakery is still used after being totally reconditioned and the bakery itself underwent extensive structural renovation, making it a landmark establishment in Valletta appealing to both local clients and tourists.